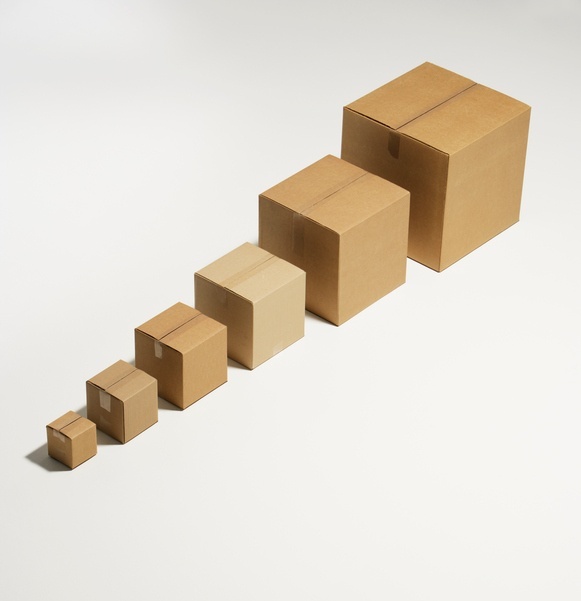 Is Your Organization Really Too Big for a 3PL? In our most recent white paper, I mentioned a number of excuses organizations use to justify not using a 3PL. One excuse was that some organization feel their in-house resources are “bigger and better” than those offered by most 3PLs. And I admitted that, in some very rare circumstances, a large organization might not be a good fit for a 3PL. If they truly have a large, dedicated team in place, and they can claim (with a straight face) that fulfillment is one of their core competencies, then going the in-house route might be the most profitable thing to do. ...Imagine that a man walks into a pizza place and asks to see a menu. He notices the two owners working in a small but efficient kitchen; there is also a server taking orders. When the server asks the man what he wants, the man turns up his nose and says, “I have a kitchen twice the size of this restaurant, with a huge pizza oven run by four chefs. Why would I pay for pizza here?” He then leaves. Did the man just give a reason why all the other customers should go home and buy their own pizza oven? Of course not…the pizza shop is not designed to serve him; it’s designed to serve the hundreds of other people who want to enjoy great pizza without the pain and cost of making it at home. The same is true of 3PLs. About one out of every hundred shippers probably can do the job in-house. But let’s be honest: 3PLs are there to serve the other 99, bringing efficiencies of scale and expertise to those that do not have it. Is Your Organization Really Too Small? What about the other extreme? Can a retailer be too small to benefit from the services of a 3PL? Again, the answer is a qualified “maybe.” If you sell a few dozen items a month through your Etsy store, you probably don’t have the kind of volume to justify a 3PL partner. But the threshold is a lot lower than you would think. One sign that you’ve grown to the point of needing a 3PL is that you find yourself too busy to fulfill orders in a timely manner on your own. Or, you are fulfilling orders but are thereby ignoring other things, like planning for growth, hiring the right people, etc. Any business owner needs to devote time to sales and marketing to stick around for the long haul. The Question of Size is a Bad One. What You Really Need to Know: Does it Scale? All that said, the question of size may be a bad one. Consider: Your business is not static. It changes with the season. It also grows, hopefully. You will need your logistics operations, wherever they are housed, to scale up (and possibly scale down), depending on what your business is doing. This creates fertile ground for all sorts of inefficiencies. For example, suppose you have in-house fulfillment and can comfortably process about 10 orders per hour (per employee). Once your orders exceed that pace, you will need to hire more staff or face the host of problems that come with not having enough fulfillment “bandwidth.” The same goes for warehouse space, etc. Things get even more complicated if you are trying to grow into new segments—say, growing a B2B business while also having a B2C-focused division. What works in one area does not necessarily work in the other. But your fulfillment operations must be able to do both effectively if they are to help you grow your business in new areas. In other words, growing a dynamic business often requires a 3PL, because a 3PL can scale with your specific needs at a given time. As order volume fluctuates, the 3PL can accommodate your needs without having to worry about idle resources of inefficiencies. That kind of scalability can save your cash flow, no matter what the market is doing. At the risk of sounding like a bad cliché, size doesn’t matter when it comes to working with a 3PL. And so, on the flip size, 3PLs that brag about the size of their clients are really missing the point. Scalability and flexibility are the true advantages of a good 3PL. The true Goldilocks problem is not what size your operation needs to be, but how you can afford to find the “just right” solution on the fly, as the market changes.